Looking for a luxury car, but one that’s not overbearing on the road? The 2019 BMW 2 Series may be worth a look. It’s one of the more athletic and fun-to-drive luxury cars near Westchester County and Yonkers, and yes—good things do come in small packages. The BMW of Westchester team has compiled this 2 Series review. 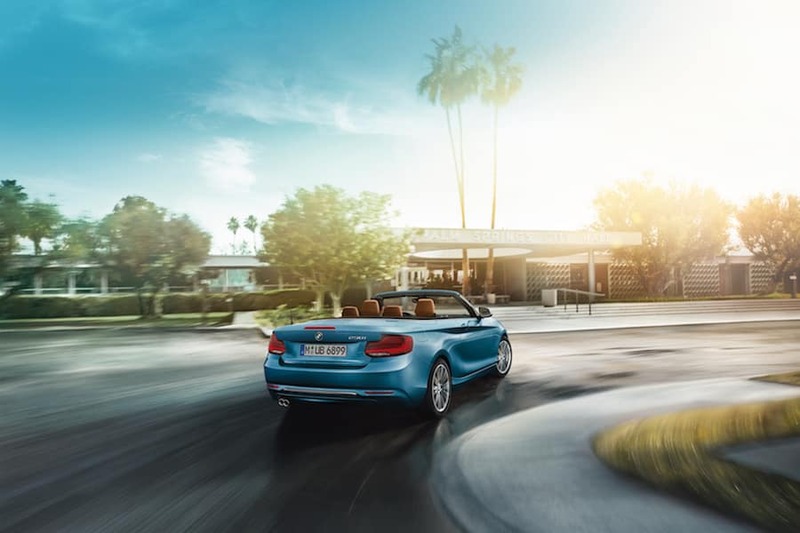 With coupe and convertible options available, there are multiple ways to enjoy the 2 Series and everything it has to offer! If you’re looking for a performance-focused vehicle, the 2 Series could be the perfect fit. Every 2 Series model comes with rear-wheel drive (RWD) and a sporty 8-speed automatic transmission. In the 230i and M240i Coupe versions, a 6-speed manual transmission can be found, should you prefer to control the gearbox yourself. All-wheel drive, called “xDrive” by BMW, is available in every version with an automatic transmission. The 230i Coupe features a 2.0L turbo 4-cylinder engine, which produces 248 horsepower and 258 lb-ft of torque. It’s an efficient car, too: It receives an EPA-estimated 24 city/33 highway MPG with the automatic transmission and standard RWD. If you’re looking for a bit more power, the M240i Coupe or Convertible is the place to turn. These models are equipped with a robust V6 engine, producing 335 horsepower—power you’ll really come to appreciate on the highways and open roads. While you’re enjoying the powerful performance of the 2 Series, you don’t want to overlook the beautiful cabin and everything it has to offer. Both the coupe and convertible styles have space for four people, sporting comfortable front seats as well as sizable space for those in the back. The 10-way power front sport seats allow those seated in front to adjust things to their liking. Moreover, driver-memory functions for the exterior mirror and seat positions will recall who’s in control every time the car starts up! The 2 Series Coupe has a 13.8-cubic-foot trunk, which is large enough to handle a few sets of golf clubs or luggage for a vacation. The convertible edition has an 11.8-cubic-foot trunk, which reduces to 9.9 cubic feet when the top is down. The base technology in the 2019 2 Series includes the BMW iDrive infotainment system. This comes with a 6.5-inch touchscreen along with a 7-speaker audio system. Bluetooth® technology is also available, allowing you to stream music wirelessly and make hands-free phone calls while navigating the roads ahead. There are some available upgrades, too, with one of the most impressive being an 8.8-inch touchscreen. Apple CarPlay® is also available: Don’t miss a notification, stay up to date with text messages, and play songs from your saved playlists, right through the system! Furthermore, should you choose the upgraded 12-speaker Harman Kardon® Audio System, you’ll be playing those songs on some powerful speakers. 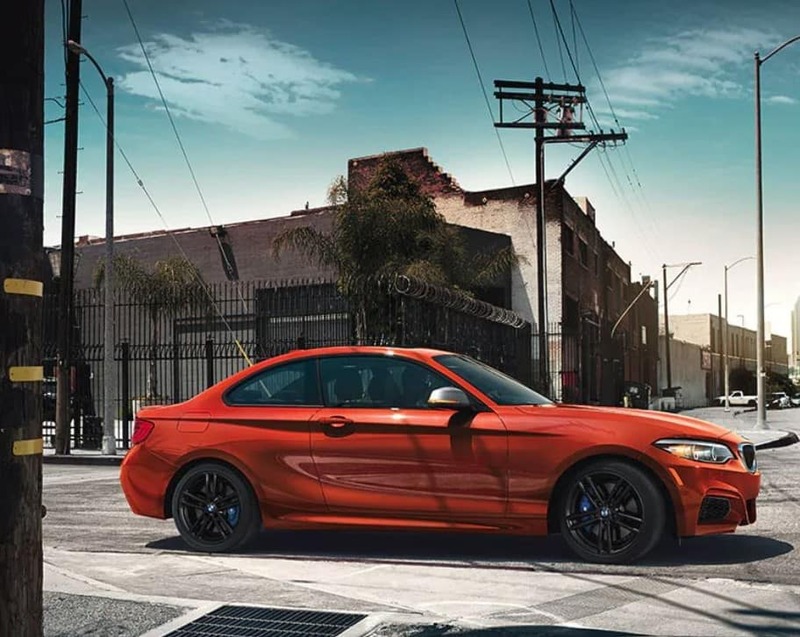 Explore everything the 2019 BMW 2 Series has to offer here at BMW of Westchester; we’re always proud to show our inventory to Westchester County and Yonkers motorists. Contact us today to schedule a test drive. Whether it’s a convertible or coupe, you can’t go wrong with the 2 Series!